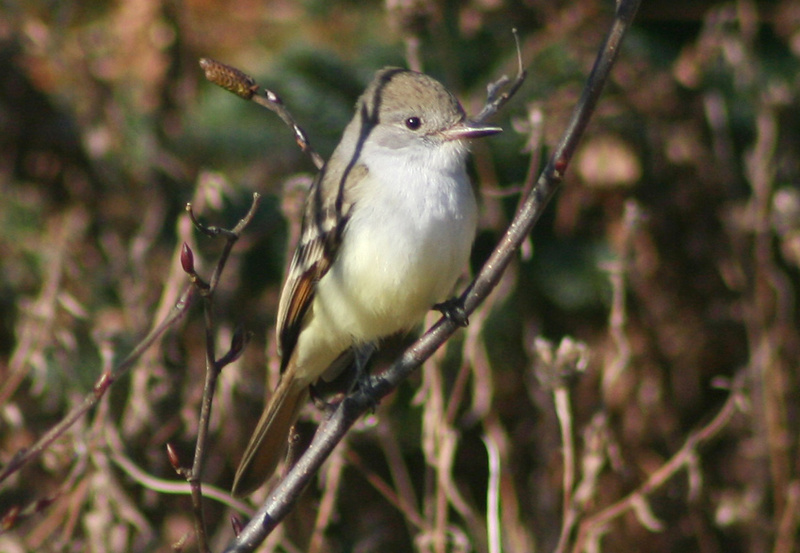 This Ash-throated Flycatcher was observed and photographed in Ferryland on November 14, 2009 – a long-awaited first record for the province. Origins: Breeds in southwestern United States to central Mexico, and typically winters from southern Mexico to Honduras. They are a rare but regular vagrant to the east coast, often in late fall. Record Details: Two records for Newfoundland. The first was discovered in Ferryland on November 14, 2009 – but disappeared just minutes later. More recently, one was present on and around a local birder’s property in Bonavista from October 30 – November 5, 2012. Both were well seen and photographed. 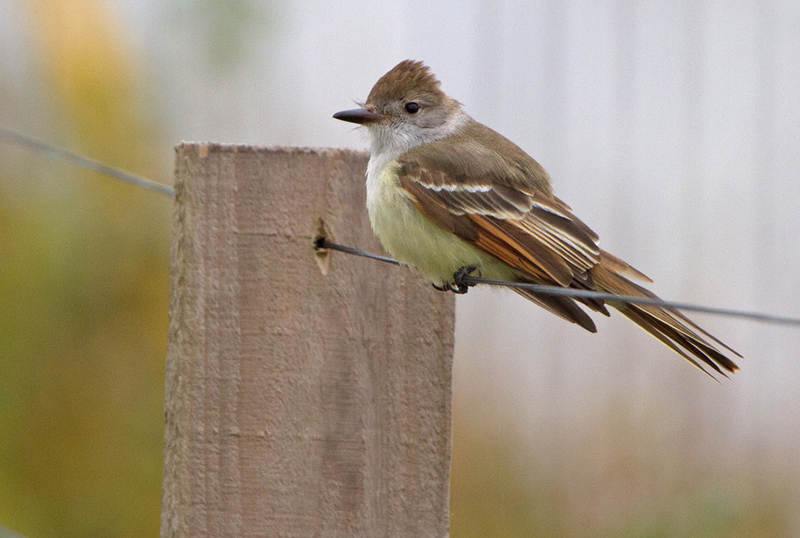 This Ash-throated Flycatcher was in Bonavista from October 30 – November 5, 2012 – the second record for the Newfoundland.